Are you interested in becoming a private investigator? Being a private investigator is a rewarding profession, where you get to make a difference in your community and play a role in stamping out fraud and deception. As a private investigator, every day is a new discovery and you get to hone a number of skills. Successful private investigators are disciplined, honest, attentive, independent, and have exceptional observation skills, analytical skills, and communication skills. You must be comfortable with technology as you will operate hi-tech equipment and conduct cyber research, and you must also stay up-to-date with all law developments. Private investigators come from a number of different backgrounds; they may be highly trained law enforcement officials looking for a change of pace, or they may come into the profession with no prior training at all. As a licensed private investigator, you can join an agency or work with businesses who need investigative services, such as law firms, insurance firms, and corporations. There are many routes to obtaining your PI license, but the requirements vary country by country, state by state, and province by province. As Ontario's largest training facilitator we hear this question often "How to become a private investigator" well we would love to give you some information on how the process works. First, it helps to have a passion for the industry this will ensure you succeed and enjoy what you do. Next to having knowledge and skills with cameras and editing software will increase your odds of success on files. Are there rules and guidelines for training? Yes, every province in Canada including Ontario has some version of how they require licensing for Investigators. In Ontario, it is necessary to take a 50-hour training course, which can be an online private investigator training course or an in-class private eye training course. You want to ensure you are working with a company which is properly licensed to offer training so you can visit the MCSCS (Ministry of Community Safety & Correctional Services) website to verify the company you plan on taking your training with. Who should you take your training with? You should take your private investigator training with an established private investigative company. There are several organizations and businesses that offer investigator training, but you will get the best training with a company who is in the industry you want to join. We often see security guard companies offering PI training however in Ontario this can hurt the chances of a student obtaining employment as companies who are hiring want to see you obtained your training from a credible company that gives you legitimate experience in the industry. What are the steps when I know who I want to work with? Complete the 50-hours of training, once you complete the training, you will be issued a training completion number and a certificate of completion. With your training completion number, you then contact Serco to schedule your exam. Once you have successfully passed your exam, you can apply for your license with the Ministry of Community Safety & Correctional Services. The licensing process takes 2-4 weeks to receive your physical license in the mail. 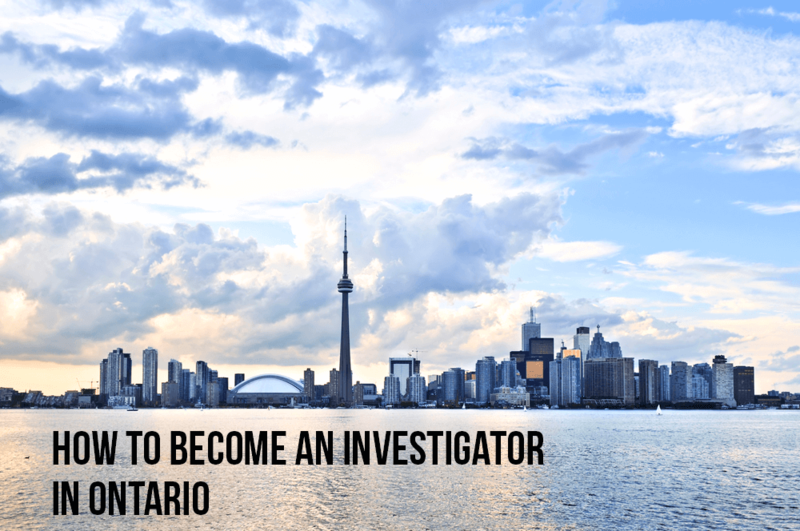 Once you obtain the license, you can work for any investigative agency in Ontario. If you are observant, analytical, discreet, honest, able to work independently, and looking for a profession outside of the 9-5 office grind, you may be suited for a career as a private investigator. Follow the steps above and you will have the training and qualifications to begin your rewarding career as a private investigator in Ontario. Disclaimer: the PI training course does not entitle you to sell services. You can only work as an employee for an agency. Additionally, you cannot describe yourself as a detective or private detective while working in Ontario.